Past Meetings – SouthEastern Michigan Computer Organization, Inc. When: Saturday, March 16, 2019 at 2:00 P.M. When: Sunday, Mar 10, 2019 at 1:15 P.M.
Where: Lawrence Technological University (Southfield Campus) 21000 West 10 Mile Road, Southfield, MI 48075. SIG-Computing Topic: The Cloud Journey: What, Why and How? We will be taking a dive into a very hot technology that many businesses and consumers alike have held off on while they wait to see what direction the industry is taking, Cloud. Focusing specifically on Microsoft Azure cloud computing, we will jump into what does Cloud computing mean for you? (15 Min). Why would you want to host your services in the cloud over an on-premises host? (15 Min). And How could you begin to make the transition into Cloud? (30 Min). We will discuss aspects ranging from security, disaster recovery, and governance to automation and cost optimization while walking through the journey into Cloud. Brett Decker is an Enterprise Consultant at Coretek Services, working specifically in the Cloud practice. He chose to pursue the cloud practice after realizing the flexibility, agility, and security it enables driving business in every fast paced ever changing market. When: Sunday, Mar 10, 2019 at 1:30 P.M.
Linux has become the de facto major OS of all major cloud providers. In this edition of SIG Linux for March 2019, we will explore how Linux is playing this role. When: Sunday, Mar 10, 2019 at 3:00 P.M.
Free Wi-Fi available. Our thanks to Lawrence Technological University, for providing our meeting space! When: Sunday, Feb 10, 2019 at 1:15 P.M. In this talk he will focus on the history of self-driving from its earliest days to the modern day frenzy. Autonomous vehicles are on the rise, with many folks making widely varying predictions, as to when millions of fully autonomous vehicles will take over. Advanced computing technology plays a massive and undeniable role in this global shift. Teaching cars to drive is an incredibly data intensive endeavor. We now see several technology companies trying to become automotive purveyors and traditional automotive companies trying to catch up/implement the Silicon Valley model of nimbleness. Sharan Kalwani is a long time UNIX user and an enthusiastic freelance trainer & courseware developer. He has expertise in many areas, and is especially fond of High Performance Computing. He has worked in many domains such as: Engineering, Biomedical research, University/Academic computing, US Government, Theoretical & Particle Physics. When: Sunday, Feb 10, 2019 at 1:30 P.M.
We will have a short 15 minute SIG-Linux session this month. We will formally hold SIG-Linux elections, share plans for the future, plus any Q&A from past SIG-Linux meetings. When: Sunday, Feb 10, 2019 at 3:45 P.M.
working on. This month he will discuss more enhancements to his program. When: Saturday, January 19, 2019 at 2:00 P.M. Note 1: Election for Officers and Members-at-Large of the Board of Directors will take place at the General Meeting. All members will receive official ballots in the mail. Note 2: Volunteers needed: SEMCO will be participating at the Volunteer and Resource Fairs at Oakland Community College from Jan 29 to Jan 31. All members are invited to attend. If you can give two hours between 11 AM to 1 PM on any of the dates, please contact Richard Jackson, or send an email to info@semco.org. When: Sunday, Jan 13, 2019 at 1:15 P.M.
Richard Tapaninen is Knowledge Expert at the Micro Center computer store. He is CompTIA A+ Certified, CompTIA Network+ Certified and also a Microsoft Certified Professional. He will review one of the hottest current technology offerings. Virtual Reality is a broad term which covers Virtual Reality (VR), Augmented reality (AR) and Mixed Reality (MR). He will cover the differences between these and the devices used to implement them. He will also cover the advantages and disadvantages for the devices including cost. When: Sunday, Jan 13, 2019 at 1:30 P.M. This month Sharan will do a super rapid tour/review of the history of the Linux Kernel. This is part inspired by the impending release of version 5 of the kernel among other things. He also will be bringing a few DVDs of Ubuntu Budgie both for 32 bit and 64 bit as a giveaway to all attendees. So they can boot and install this for playing around with Linux on old and new hardware. When: Sunday, Jan 13, 2019 at 3:00 P.M. Note: Nominations for officers and directors will take place at the General Meeting. When: Sunday, Dec 9, 2018 at 1:15 P.M.
SIG-Computing Topic: The Michigan eLibrary – Meet MeL! Maria is the Head of Adult Services at Baldwin Public Library in Birmingham, MI. She holds a Master of Library and Information Science degree from Wayne State University and a Bachelor of English Literature degree from the University of Michigan. From academic research to car repair manuals to test preparation tools, the Michigan eLibrary has something for every Michigander. Learn about some of the most popular e-resources MeL has to offer in this presentation by a public librarian. When: Sunday, Dec 9, 2018 at 1:30 P.M. Which Linux Distro should I choose? There is now a nice tool to help you select one. A quick demo of the tool and some additional background on it. LibreOffice is a powerful and free office suite, used by millions of people around the world. Its clean interface and feature-rich tools help you unleash your creativity and enhance your productivity. When: Sunday, Dec 9, 2018 at 3:00 P.M.
At the last meeting, we learned a little bit about PyQt a tool that assists you to create windows, buttons, text boxes, etc. in Python programs. This is an alternative to Tkinter which we have also learned a little bit about. Tkinter does similar things to PyQt but does not give you the fancy user interface. When: Saturday, December 15, 2018 at 2:00 P.M.
Richard Jackson, vice president of SEMCO, will start the meeting and make general announcements. 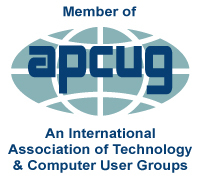 When: Sunday, Nov 11, 2018 at 1:15 P.M.
Gene Barlow of User Group Relations will conduct a webinar about backing up our computers using Acronis True Image Backup and Partitioning software. When: Sunday, Nov 11, 2018 at 1:30 P.M.
Sharan will not be available this month. His talk will continue in December. This time will be available for open discussion and additional Q & A. When: Sunday, Nov 11, 2018 at 3:00 P.M.